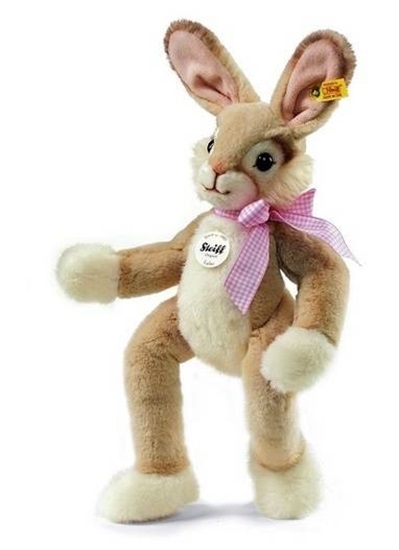 New from the 2013 Spring Collection, this little rabbit is sure to hop her way into your heart..
New from Steiff's 2013 Spring Collection, we are pleased to share, "Lulac" the rabbit. She is approximately 16-inches tall and is machine washable. She has blonde colored fur with a white muzzle and black eyes. She is wearing a pink gingham bow around her neck. She is good for ages 4 and up.